On Thursday, April 28, 2011 the Sheriff’s Office received a missing person report regarding a subject named Edward Burton Jensen age 54 from Blocksburg. Mr. Jensen was last seen about 2 weeks ago at a rural residence located in the Larabee Creek sub-division area of Blocksburg. Mr. Jensen walked away from the residence after an argument with another subject and has not been seen since. On 04-29-2011 four Deputies searched the rural property for any signs of Mr. Jensen with negative results. Family and friends have not heard on seen Mr. Jensen since and are concerned about his safety. The Sheriff’s Office is requesting the public’s assistance with any information on Mr. Jensen possible location. Mr. Jensen may heading to the Corning area of California. The public is requested to call the Sheriff’s Office at 707-445-7251 with any information on the possible location of Mr. Jensen. 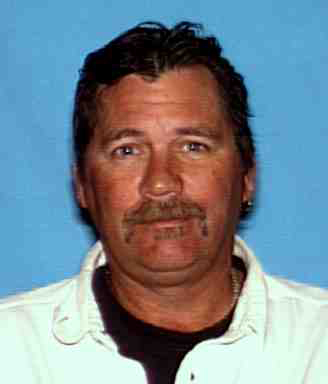 Edward Burton Jensen is described as : WMA, 5-11, 230 pounds, brown hair and hazel eyes. SoHum Awareness: Eric V. Kirk: Isn’t he like the third missing person in SoHum in a week? This entry was posted in Missing Persons and tagged Blocksburg, Edward Jensen, Facebook, Kym Kemp, missing, photos, SoHumAwareness. Bookmark the permalink.